Gabe Holm is a 33-year-old inline skater and owner of Thuro skate shop from Amherst, Massachusetts. Gabe has been a staple in the Northeast aggressive skating community for over a decade and in the past few years has made a name for himself in downhill skating. Recently he broke the world speed record for inline downhill skating at the L’Ultime Descente – Top Speed Challenge in Quebec Canada, with a new record time of 132.19 km/h 82.13 mph. Gabe Holm downhilling at the Maryhill race in Washington. How old were you when you started inline skating? I was first introduced to skating when I learned how to skateboard at 3 years old. My brother Job would push me around the neighborhood until I could do it on my own. I then learned how to ski at the age of 6 after my brother Elijah brought home a pair of skis for me to try. When I was 8 years old I convinced my parents to register me for youth hockey and loved it. I wanted to do it as much as possible even off the ice. When I was 12, I finally got my first pair of inline skates. They were 3-wheel Blade Runner skates. I used them all the time and quickly gravitated towards street skating. That’s also when I got really into aggressive skating and did that consistently for 15 years. Do you do any other kinds of skating besides aggressive and downhill? I freeride in the city whenever I can and try to join group skates with a skate club here in Boston once a week. I’ve also done some long distance skates.The longest being a 110 mile skate from Boston to western Massachusetts. What made you want to start doing inline downhill? Working at the shop it was hard to get out as much to do aggressive skating but needed to get around back and forth to work. I got my first pair of hybrid freeride skates – the Seba FR-A 80mm Skates – and fell in love with rolling all over again. After 15 years of aggressive skating on smaller wheels, it was so fun to skate fast around the city on larger wheels. I found myself seeking out the longest and fastest hills. I then bought a pair of the Seba downhill frames and started skating bigger mountain roads with friends in New Hampshire and Vermont. The 5×90 downhill frame was a game changer providing more stability and reaching higher speeds. I was hooked. After skating bigger roads, I did all I could to watch and see what other people were doing in the downhill scene. I was really into this video I saw on Youtube called “Downhill Roller.” Seeing videos like this made me want to do it as much as possible. Have you competed in any downhill competitions before? Yes, I placed 3rd at my first race in 2015 at the IIDA North American Nationals in Bonelli, Califonia. I also won the IIDA North American Nationals at Maryhill in 2016 and 2017. I then competed and won 1st pace for inline in the Ultimate Descente in Canada in 2016 and 2017. How is downhilling around Boston area? There are not any really fast runs within the city but you can find some fun hills around the suburbs of Massachusetts, especially near ski resorts and hiking trails. What is your favorite hill to bomb? My favorite hill I’ve skated was GMR in California. Do you look up to anyone in the downhill scene? Daniel Ladurner seems like one of the best riders but I really look up to Scott Peer, Craig Ellis, George Merkett – I learned a lot from those guys. What is the L’Ultime Descente – Top Speed Challenge? It’s an invite only downhill gravity multi-sport event where everyone tries to go as fast as possible. In 2016 they were looking for 3 inline skaters who could handle 70+mph speeds and Craig Ellis hooked me up with his spot. Where you set on breaking a world record before you got to Quebec? I wanted to! The record at the time was 124.67kmh / 77.46mph but breaking 80 was the goal. I had skated runs up to 75mph but I really wanted to get into 80mph+ speeds. How many practice runs did you take before you hit the speed record? What did it feel like to go so fast? Is it scary? It was scary fast but definitely a rush. I just had to focus on staying in my tuck and keeping my stability at high speeds. What goes through your head when going so fast? I’m just trying to stay focused on my form. I tell myself to stay still, keep my legs steady, breathe and hold the line. Have you taken any high speed falls? While training for L’Ultime Descente on a local hill in wet conditions, I entered a turn with too much speed and slid out, arms first, into the woods off the road. I kept sliding into the woods and through a bunch of leaves until a tree root wedged my arm and stopped me. I managed to skate away but because I was sliding on my stomach, I got with a bunch of leaves down my shirt.I removed them and continued skating. Turns out, a bunch of those leaves were poison ivy. That night, I broke out with an intense poison ivy rash all over my stomach and legs. The event was just a week away so I had to race with that rash in hot leathers during the event. It was the worst. In high speed downhill, I can slow down a bunch by air braking but I also slow down carving or drifting my wheels. What setup do you use for downhilling? Lately I have been using the Rollerblade Twister Edge Boot with the RB Marathon 3×125 frame for freeriding and the Twister Edge Boot with the Seba 5x90mm Frame or the RB 3×110 frame for contests. What safety gear do you use? I use the G-Form Knee-Shin Combo with slide gloves, helmet and a leather suit when required. How do the longboarders view inline downhill? The longboarders I’ve met and race with love it. Downhill is a unique sport where inline, longboard and luge all share the love for going fast. There is great comradery and shared mutual respect. What kind of people/ age group show up at these events? They are for everyone. All ages show up at these events. I even saw a dog at Maryhill get in on the action. How many downhillers do you think live in America? People skating downhill for fun? I have no idea but different people I’ve seen at events… maybe 10. Have you gotten any of your skate buddies to start downhilling with you? I encourage everyone to try it and many have taken downhill runs with me. I’d love to get more people comfortable enough to skate the same speeds and terrain. I’ve owned my shop since 2011. We sell all types street action sports goods including snowboard and surf. Regardless of what sport people choose, I believe as long as you dedicate yourself to it, it’s all rad. We are there to provide customers with the best gear to help them rip it. Are you selling downhill products? If so what are most popular? We sell some great downhill products including boots, frames, wheels, bearings, safety gear and Gravity Master Brakes. 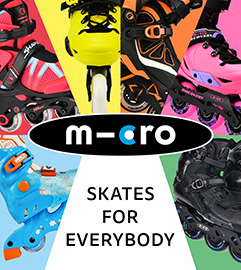 The most popular have been Rollerblade Hydrogen wheels that provide great grip and durability. How does it feel to hold the current world record to be the first inliner to break 80mph? It feels absolutely amazing! Even when not breaking a world record, it’s such a fun sport. I hope to encourage other people to try inline downhill. Now that you hold the speed world record, what are you future goals in inline downhill skating? I would love to skate an Olympic bobsled run and attend some of the IIDA international events, skating more technical tracks. My ultimate dream is to fly a wingsuit and land on skates. When will you attempt a high speed downhill to frontside on a slider bar? The goal is to combine all my skating disciplines and incorporate some stuff from skiing, on inline skates; Gap into descents, drift tight turns, connect fast lines and drop in on the steepest hills that I can find. If there is a slider bar on the way, I’ll find a way to hit it. What is the fastest you’ve gone down a hill backwards? Hit the course in Washington fakie. 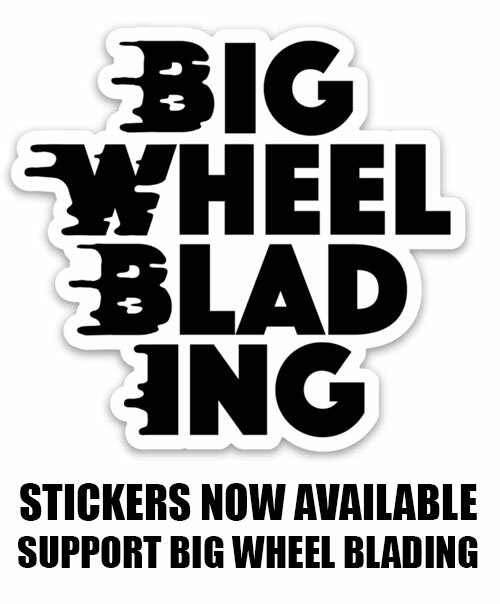 Want to get into downhill or just need some new skates and parts? Then check out Thuro Shop if you are in the Boston area or their online store.